These zero waste Gingerbread Energy Bites made with Simply Organic spices are perfection. 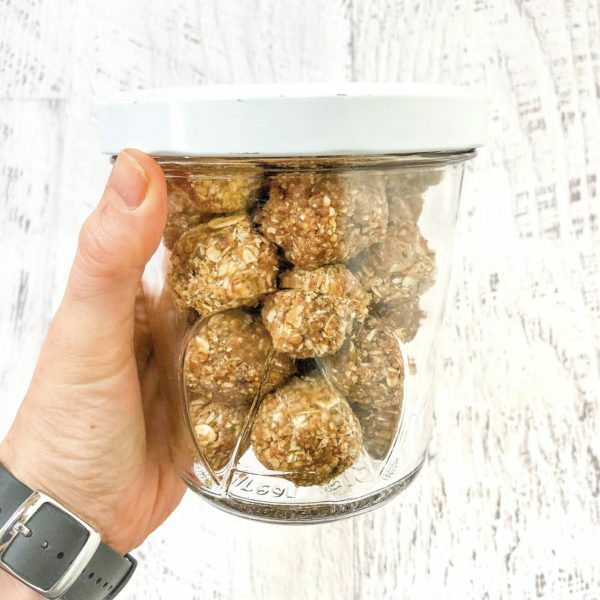 I’ve been making Phoebe Lapine’s Raw Gingerbread Energy Balls from her book The Wellness Project since summer 2017 and can't ever seem to make enough of them. I made a few tweaks to the recipe based upon ingredients I had on hand and to support my continued attempt at seed cycling. The result was just as spectacular, if I do say so myself. And, these bites are zero waste! I purchased the oats, hemp seeds, almonds and dates from the bulk section in my own containers- so they were single use package and plastic free. (Check out my Guide to Buying In Bulk here). And, the coconut oil and spices are in glass containers that I reuse. I’m brought these to a Feed Feed event in New York City and they were a hit! I can't wait for you to try them. Add all ingredients to a food processor and process until combined. Roll into individual balls (~1 tbsp each) and refrigerate. Take a deep breath before enjoying. You’re going to go bananas for these!